The Secret of the Nagas begins with Shiva trying to save Sati from a Naga attack. His quest for the Naga warrior who killed Brahaspati and assaulted Sati leads Shiva and Sati to the land of the Brangas. 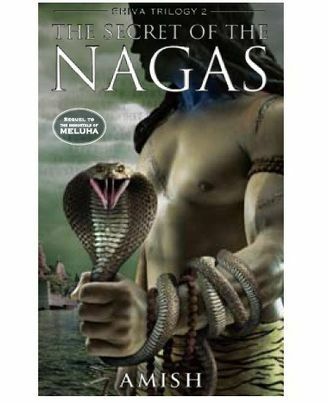 In The Secret of Nagas, Shiva the prophesied savior of the Meluhan Empire finds himself in a turbulent situation trying to avenge the murder of his friend and saving his clan and the people of Meluha from the evil serpent people. His journey takes him across the lengths and breadths of the ancient India, searching for the truth and answers to all his intriguing questions. He travels to Kashi to find every bit of detail about the Nagas. He comes to learn about the reason behind the alliance between the Brangas and the Nagas. Both Shiva and Sati eventually discover startling secrets that have profound effects on both their lives and relationship. With a war brewing in the backdrop, will Shiva be able to accept the truth and live up to the expectations attached to him? 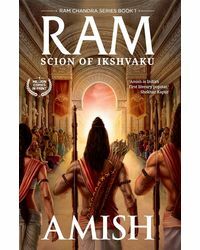 Amish Tripathi, is an Indian author who gave up a flourishing career to fulfill his dream of becoming a writer. He is an alumnus of IIM (Kolkata) and was working in the financial services industry for over 14 years. 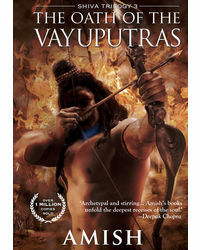 He has authored the famous Shiva Trilogy, which earned him both commercial and critical appreciation. His style of writing is a fresh blend of philosophy, mythology, karma and myth, which has given birth to a new era of literature in India. He is currently based out of Mumbai where he stays with his wife and son. Amish has sold the movie rights of The Immortals of Meluha to Dharma Productions. About the Book : The Secret of the Nagas begins with Shiva trying to save Sati from a Naga attack. His quest for the Naga warrior who killed Brahaspati and assaulted Sati leads Shiva and Sati to the land of the Brangas. In The Secret of Nagas, Shiva the prophesied savior of the Meluhan Empire finds himself in a turbulent situation trying to avenge the murder of his friend and saving his clan and the people of Meluha from the evil serpent people. His journey takes him across the lengths and breadths of the ancient India, searching for the truth and answers to all his intriguing questions. He travels to Kashi to find every bit of detail about the Nagas. He comes to learn about the reason behind the alliance between the Brangas and the Nagas. Both Shiva and Sati eventually discover startling secrets that have profound effects on both their lives and relationship. With a war brewing in the backdrop, will Shiva be able to accept the truth and live up to the expectations attached to him? 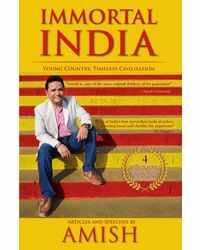 About the Author : Amish Tripathi, is an Indian author who gave up a flourishing career to fulfill his dream of becoming a writer. He is an alumnus of IIM (Kolkata) and was working in the financial services industry for over 14 years. He has authored the famous Shiva Trilogy, which earned him both commercial and critical appreciation. His style of writing is a fresh blend of philosophy, mythology, karma and myth, which has given birth to a new era of literature in India. He is currently based out of Mumbai where he stays with his wife and son. Amish has sold the movie rights of The Immortals of Meluha to Dharma Productions.